Next to the iconic Manon and the different Manon Cafés, Leonidas now comes with a brand new praline. In limited edition only. Barry Callebaut recently invented ruby chocolate: a special pink chocolate made of ruby cocoa beans. In the hands of the Leonidas master-chocolatiers, it was bound to give something special. 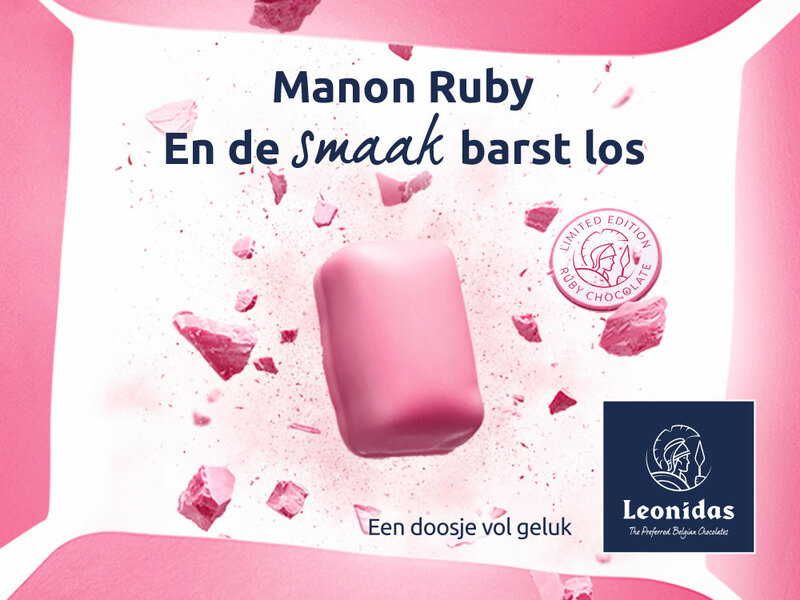 Today you can discover the Manon Ruby: its raspberry-buttercream filling and fruity ruby chocolate cover create an explosion of taste. The visual illustrates that perfectly, as the Leonidas box opens with a pink chocolate explosion. In November, digital abribuses and posters will turn the country pink. And even social media will pinkify. 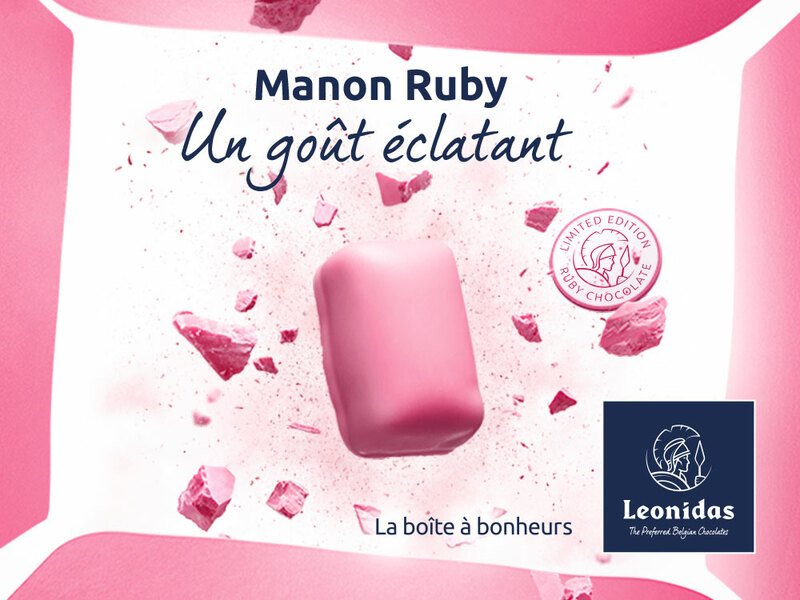 So, in short: the Manon Ruby campaign is a tasty treat.